This handsome Scarlett coffee table from Armen Living will make the perfect choice for your modern home. 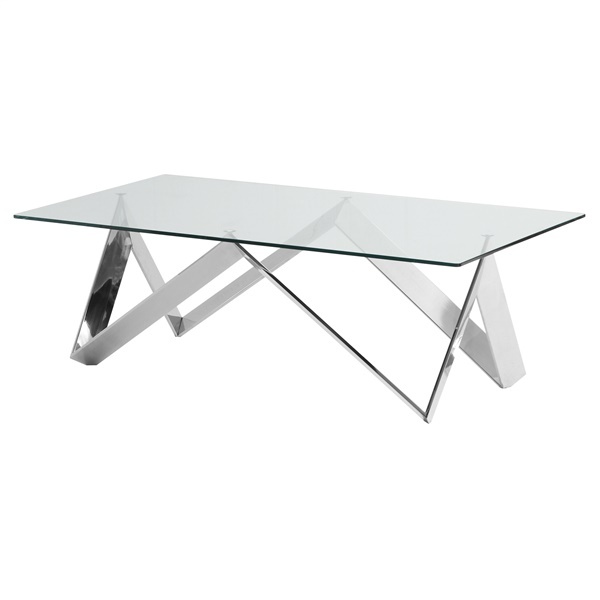 This gorgeous table has a polished stainless-steel finish ensuring durability and quality. This practical and stylish table will enhance your home.